The students of the University of Technology in Lae retaliated angrily to the news of the police shootings in Port Moresby at the UPNG campus yesterday. The angry students tried to move from the campus gates onto the main road but were stopped by police who fired warning shots into the air to disperse them and the crowd that had gathered around the campus. 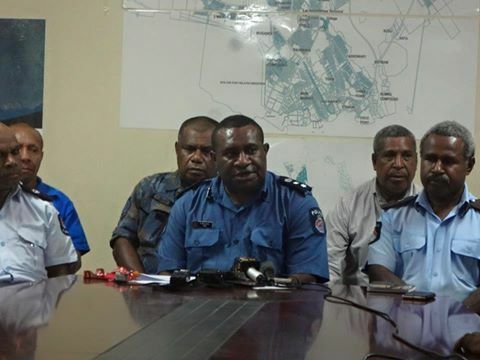 The situation returned to normalcy after the Lae Metropolitan Superintendent Anthony Wagambie Jr and two of his officers went on campus unarmed and engaged in dialogue with the Senior Executive Management (SEM), Student Representative Council (SRC) and the leaders of the provincial groups assuring them that the police would not enter the campus unless called for by the administration on the understanding that students refrain from destroying public property on campus. He explained that because Lae is an unpredictable area, request by the students to stage a protest march was not approved to avoid opportunists taking over and disrupting the purpose of the students’ course. He appealed to the student leaders to take control of the student body and to not allow students to venture onto the main road and interrupt the flow of traffic and or cause disturbance to the public. Mr. Wagambie stressed that the police are not their enemies and their presence at the campus was not to intimidate the students, but to protect property and make sure that there will not be any disruptions to services as a result of the riot. The student representatives have taken the directions into consideration and agreed to the terms. Despite the events that took place in the morning, Mr. Wagambie confirmed that there were no reports of any injuries from the students or the general public. Mr Wagambie has advised the public that police presence will be heavily maintained in the city to ensure that schools, businesses and basic services will not be disrupted.